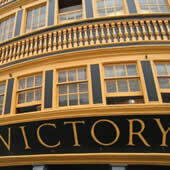 Visit Portsmouth harbour, just a 5 minute drive from our apartments. Return home with gifts for friends and family at the fantastic Gunwharf Quays. 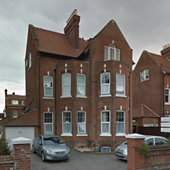 Lakeside Apartments are situated in a quiet residential area of Southsea, yet only a few minutes walk from Southsea seafront and the pier. With the shops, pubs, restaurants & just around the corner from all the major attractions. Lakeside comprises of quality self-contained, centrally heated apartment - each with fully equipped kitchens, bathrooms and double or twin bedsitting rooms. 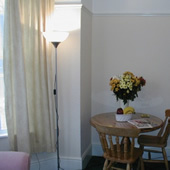 All of our apartments are furnished in the same way, neutral colours, with pine and leather Furniture. 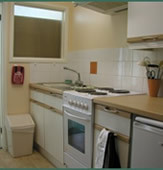 The kitchens are fitted out with all mod cons all that you require for a quiet week away. 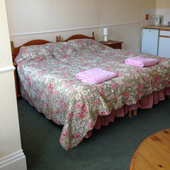 Bed linen is provided and a laundry bag wash is available at cost on prior arrangement. Every apartment has Digital TV/DVD players. 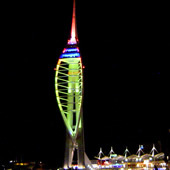 Portsmouth is one of the UK’s greatest Waterfronts, and is steeped with centuries of history, stunning attractions combined with amazing sea views, great restaurants serving all tastes and fantastic shopping. 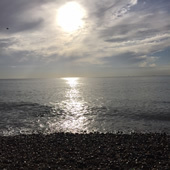 Walk along the stunning shore line of our great beach, wonder through our lovely Rose Gardens, ride apon the swans on the Boating Lake or if you are feeling energetic perhaps a seaside run? Or game of tennis?.